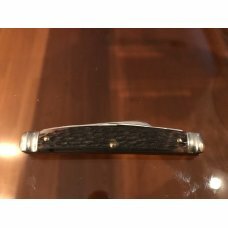 Schrade Walden 774, 45+ years old, never carried, used or sharpened. USA Only !!! Pictures are part of the description. 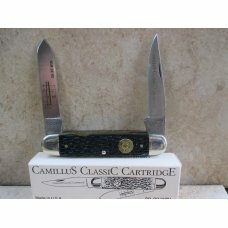 The following explains the condition grading of knifes; New: Never sold to a customer and never used. New as shipped by the manufacturer or distributor with all original packing (box, sheath, etc.) and instructions. 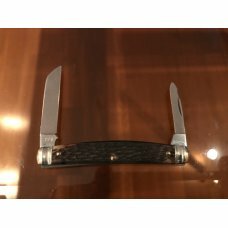 Knives or any merchandise sold as "New" must be eligible for full warranty service from the officially authorized importer, distributor, or factory in the USA. 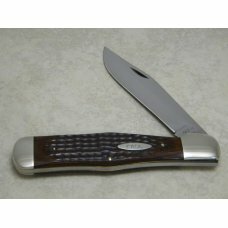 New is what most knife stores sell and they are generally current production knives. 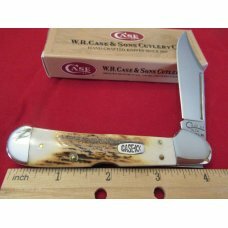 For years the standard for knife collectors has been the National Knife Collectors Association grading, established in 1973. Basically it is a sound grading standard, but as collecting has advanced many dealers adapted additional descriptions, and the overall collecting field has changed, to the point that many dealers feel there should be a more detailed grading system. The basic grading standards have been left intact, but what follows is a clarification and enhancement of those standards, and also the reasons for the revisions. Cracks. One important exception: Cracks will occur in mint knives. If it is mint for everything except a crack, the knife is still mint-–it is only mint with a crack. This should downgrade the value approximately 10% on most knives. New Category: Pristine Mint: The coin world would call this MS-63-65, the ultimate in quality and condition–not just mint, but mint plus something, good fit, no specks on a very old knife, etc. Suffice to say there are very, very few of these out there. Perfect plus. Mint: The standard mint, unsharpened, never used, and never carried extensively. Revision: Almost any knife made prior to World War II is going to have some rust specks here and there. 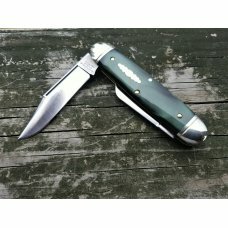 If you only wait for mint New York Knife Company knives with no rust specks, for instance, you are going to get very few. Some knives that were mint in 1970 have now been in storage for over 30 years–and they are starting to show some neglect spots here and there as well. I look for this to get worse in the future, since few collectors pay the attention they should to the maintenance of knives in their collection–and at that point the value of even rarer pristine mint knives will decrease. Important exception: Case knives still must have no rust to be mint. 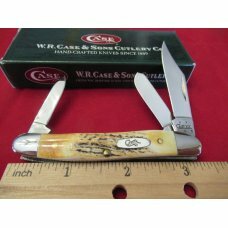 An old Case knife with a rust speck is not a mint knife. 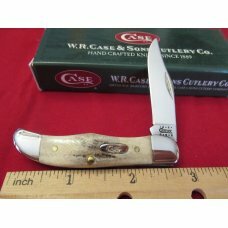 Case collectors are stricter in their grading than other knife collectors. 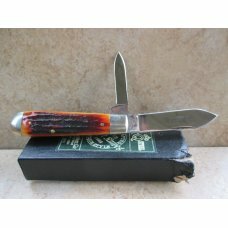 Near Mint: Nothing wrong with the knife, sharpened but no blade wear, some original polish still visible, carry scratches on the outside, walks and talks, no deep rust pits, full blades. 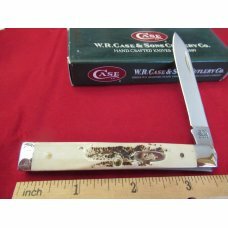 (A mint knife that has rusted and been cleaned back to near perfect shape is near mint.) Excellent: 5-10% blade wear, blades snap, some tarnish, and light pitting possible. 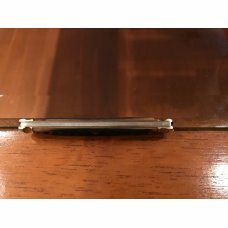 A good solid lightly used knife. 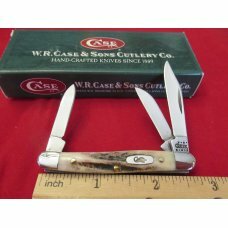 On a multi-blade knife, some of the smaller blades may still be near mint. Tang mark clear. Master blade not over 10% short. 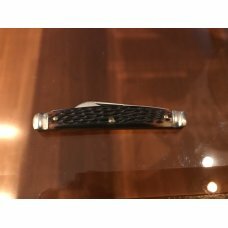 Very Good: More blade wear than excellent, 15-25% wear, some blades may be slow, stamping readable but faint, some distinct cracks but no chips out of handle that have not been repaired. Blades still sound but may be slow. Some rust pitting and tarnish. Master blade may be short. Good: NKCA standards refer to this as Fair, which I always confused with poor. Simply Good is worse than Very Good. 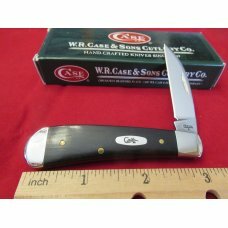 25%-50% blade wear, maybe a chip missing, replaced handles or blade is evident, but still able to identify maker, still useable as a working knife. Blades may be very slow. Deep pits and rust. Still has all the blades, even though worn and short. Poor: Blades over 50% gone, usually short, handle may be chipped, one blade broken, blades lazy, tang mark just barely readable. Still useable for parts. I do not include shipping insurance, If you would like shipping insurance on an item that you purchase please contact me before your item ships. You must be at least 18 years old to purchase.